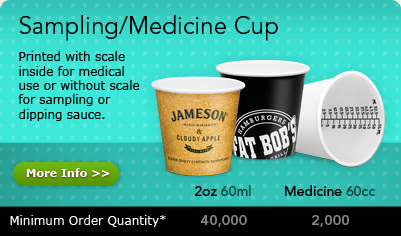 Promote your brand with our range of high-quality custom printed paper cups designed for all types of food and beverage applications. Print from 1 to 4-Colour Process on smooth satin paper for maximum brand exposure. * Minimum Order Quantity based on 1-2 colour print. Any questions? Please don’t hesitate to contact us on +61 (3) 9335 1528 or send us an e-mail at john@tpccau.com. Shipping is based on AU continental zip codes. If you live outside the continental AU, we will contact you regarding shipping. 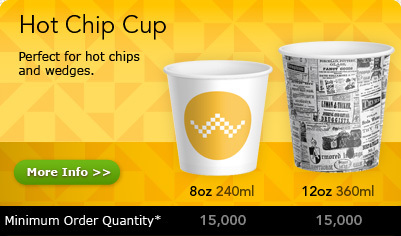 tpccau.com, thepapercupcompany.com are trademarks of The Paper Cup Company Pty. Ltd.